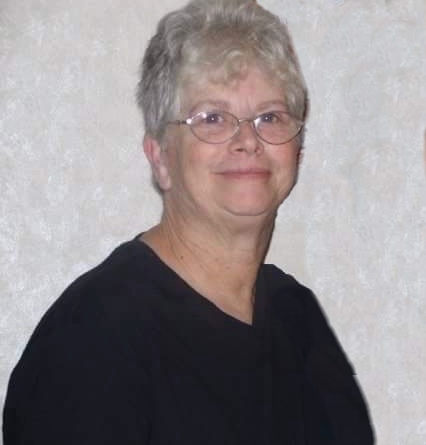 Stewartsville, MO…..Linda Jane Cook, age 70, was born June 11, 1947, the daughter of Raymond and Eileen Stevenson and passed away June 8, 2018. Linda and Jerry Cook were united in marriage September 25, 1970 in Miami, OK. Linda was a member of Culbertson Chapel United Methodist Church, Stewartsville Fall Festival Committee, and Sassy Lassy Sorority. She worked at Abbey Woods Rehab Center, Sack’n’Save, and Johnson’s Grocery Store. She is preceded in death by her parents; husband, Jerry Cook, son Timothy Chipp; and granddaughter Natasha Chipp. Survivors include four sons, Billy Joe Cook (Connie), Stewartsville, Timothy “Tum” Cook (Kari), Stewartsville, Jay Cook (Mary), Maryville, Cory Cook (Tabatha), Cameron; two daughters, Suzanna Lawhon (Chad), St. Joseph, and Melissa Francis (Larry), Stewartsville; six brothers & sisters, Judy (Ed) Durbin, Joe (Marilyn) Stevenson, Sarah Beth (Rick) Huff, Jean Fetty, Deborah (Len) Brott, and Joyce Stevenson; numerous grandchildren, and great-grandchildren. Sorry for your loss, your Mom was a great friend to my Mother. I will keep you all in my prayers. Sorry for your loss Stevenson Family. She will be greatly missed. So sorry for your loss. Prayers and thoughts for you all. She will be missed by many. Sorry we will not be able to be there Wednesday. Prayers for comfort for your family during this sad time. May you be blessed by special memories and in being family together.